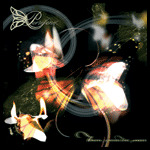 Persefone is a progressive death metal band from Andorra created in October 2001. At this time, the band was formed by Carlos Lozano, Jordi Gorgues, Toni Mestre and Xavi Perez. They played mainly covers from bands like Arch Enemy, Dissection and In Flames among others. Few months later, keyboardist Miguel Espinosa joined the band and immediately the work was centred on composing the first song "Niflheim (the eyes that hold the edge)" that was recorded on studio as a demo to see how the band was progressing, and also to see what could be achieved on studio. During summer 2002, the band began to work on the songs that would be in their first demo "Truth inside the shades". The recording sessions for this demo lasted for more than four months from October 2002 to February 2003. The album was recorded at Orion Studios by Aleix Dorca. During the recording sessions Xavi Perez left Persefone due to incompatibilities with the band, and his position in the band wouldn't be filled until July 2003 when Persefone asked Aleix to join the band. By that time, the album was sent worldwide to see if anyone was interested in the band, and then is when IntroMental made its move: Adipocere Records (France) and CD-Maximum (Rusia) are the label companies that the band signs a contract for a distribution in Europe and North America, and Rusia and Baltic States, respectively. In March 2004 the band contacts Marc Martins who will perform the vocals in Persefone.